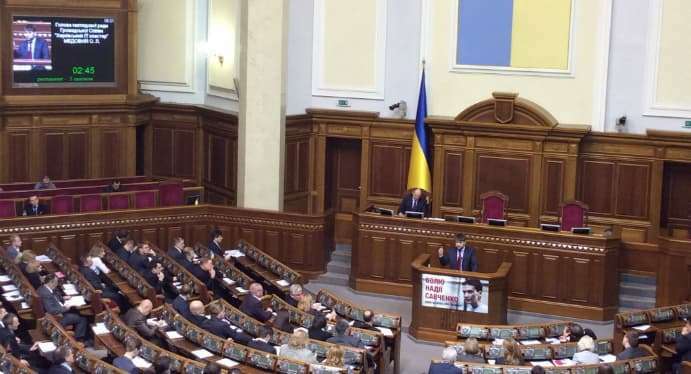 Kyiv, Ukraine – February 25, 2016 – Oleksandr Medovoi, Founder and CEO at AltexSoft, Chairman of the Supervisory Board at Kharkiv IT Cluster, spoke at the Verkhovna Rada (Parliament of Ukraine) on the priority development areas of Ukrainian IT industry. The hearings and the dedicated exhibition were held with support from The European Business Association (EBA) IT-Committee. According to the recent research, Ukraine is one of the world’s top IT service providers and the leading source of technology professionals in Europe. To promote the industry as the country’s major economic driving force, several organizations, including the EBA (EBA IT Committee), Kharkiv IT Cluster, The Association of Information Technology Enterprises of Ukraine (AITEU), and IT Ukraine Association, are actively building government relations. One of the events, aimed to advocate the national IT growth, was the exhibition and Parliamentary hearings on the subject of “Information and Communications Technology Industry Reforms and Ukraine’s Information Space Development”. AltexSoft’s Founder and CEO, Oleksandr Medovoi, was among the six companies-members of the EBA IT-Committee and Kharkiv IT-Cluster that had a chance to speak at the Parliament about the industry’s most important issues. In his speech, Oleksandr touched upon three questions: legal aspects of Ukrainian IT industry, the state of education, and business environment. “The global attention to the IT industry is constantly growing. The personnel deficiency in Europe is predicted to reach 900 thousand of employees by 2020. Under favourable conditions, Ukraine will be able to carve out a part of this niche. This is Ukraine’s window of opportunities,” noted Oleksandr Medovoi, Chief Executive Officer and Founder of AltexSoft. Kharkiv IT Cluster is a non-governmental organization, which unites the largest Ukrainian and international companies in the field of information technology & software development. The mission of the Cluster is developing a friendly environment for technology businesses in the region. AltexSoft’s Founder and CEO, Alexander Medovoy, is the Chairman of the Supervisory Board at Kharkiv IT Cluster. The European Business Association (EBA) is the largest premier union of businesses operating in the Ukrainian market. It was established in 1999, and currently has 930 members. The organization was initially supported by the European Commission and has grown to become one of the largest and most influential business communities in the country.